The latest edition of Pink Magazine SK hit newsstands today and on page 31 you’ll find my latest recipe – Irresistible Cookie Dough Brownies. Seriously, so delicious! This is a great recipe to serve at your next party…maybe with a side of broccoli just to eliminate some of the guilt from this sweet treat. Actually, forget the broccoli! Parties are known for their sweet treats and we’re all allowed a little chocolate now and then, right? Save the broccoli for tomorrow. 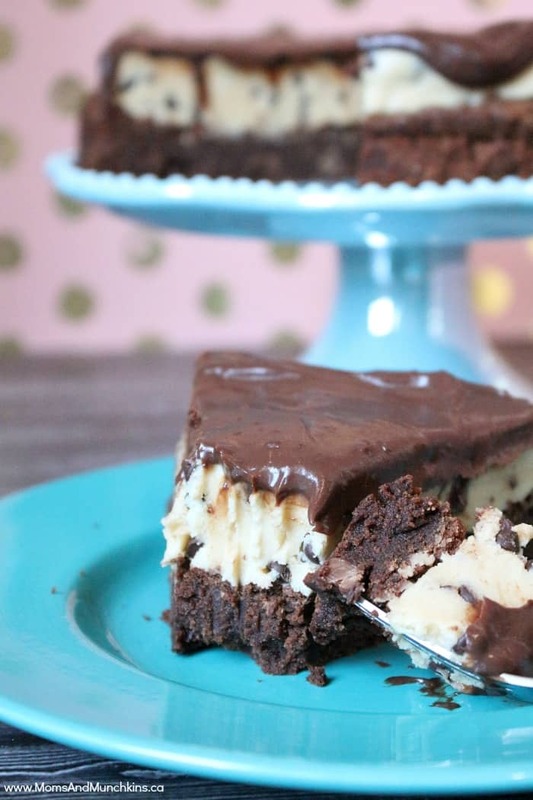 On the bottom layer you’ll find one of my favorite brownie recipes. 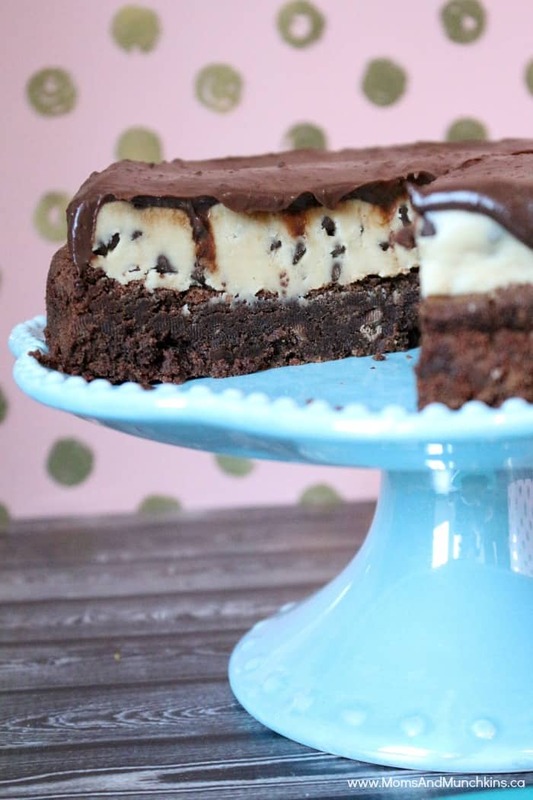 It’s delicious on it’s own but even better as Cookie Dough Brownies! 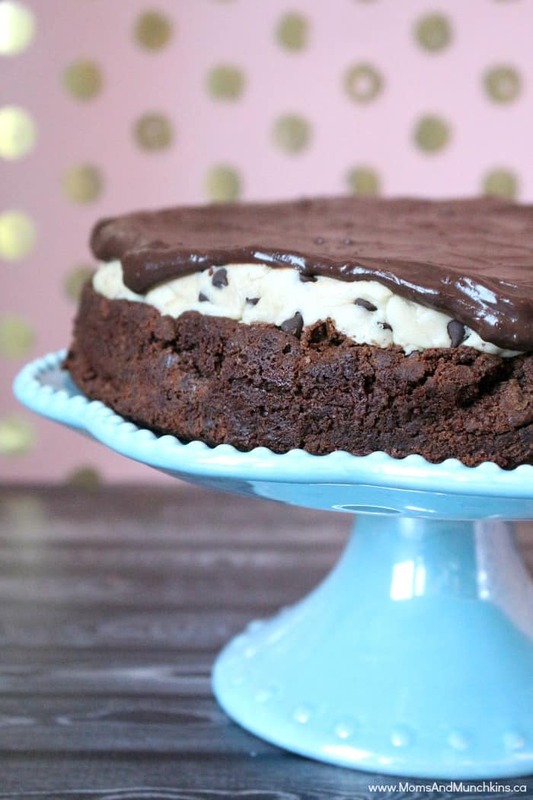 The second layer is an egg-free cookie dough. I used the same recipe as in these Cookie Dough Truffles. I was always asked to share this recipe when I’d bring those truffles to parties. They are great for a bake sale or a holiday bake exchange! 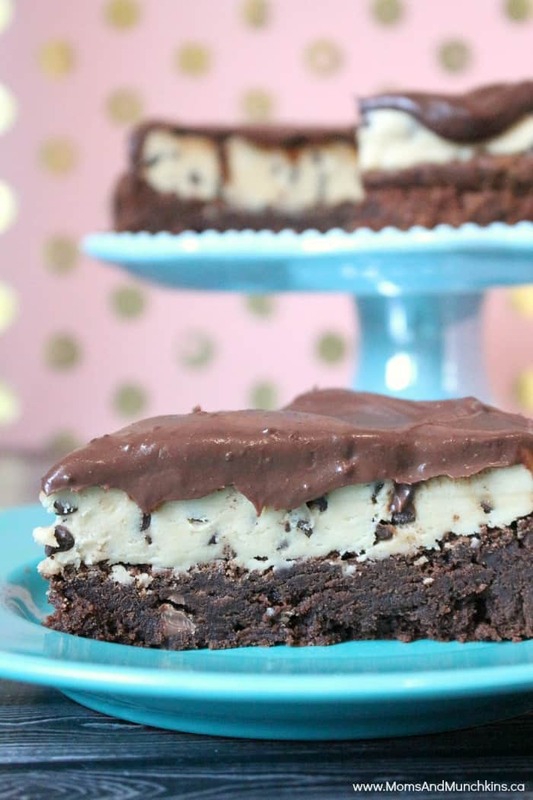 The topping is a sweet chocolate ganache – a combination of chocolate chips, heavy cream and butter. You’ll find the full recipe in Pink Magazine SK. For those of you who don’t already know, I’m a regular contributor to Pink Magazine SK so you’ll find me in there monthly sharing delicious dessert recipes and creative party ideas for kids. 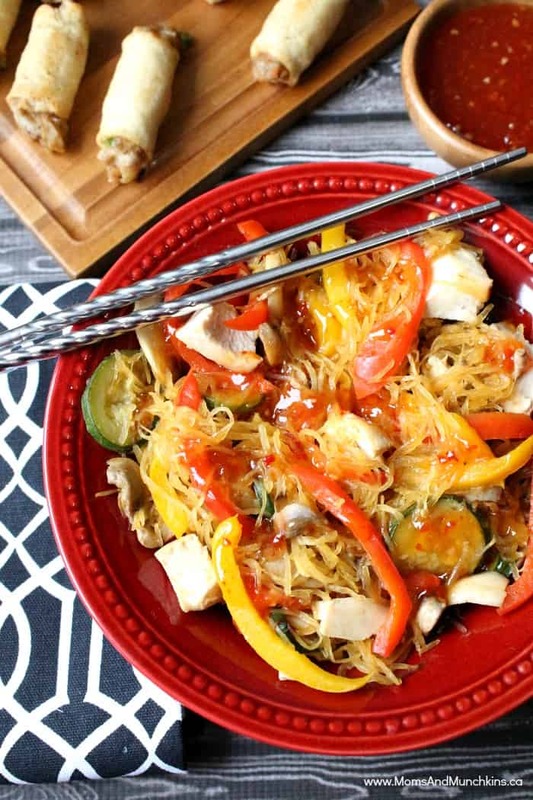 I know that it’s bathing suit season and you may be trying to cut back on chocolate until it’s sweatpants season again (my sweatpants season lasts all year long) so here’s a healthy Spaghetti Squash Stir Fry recipe for those of you looking to add more vegetables to your diet. We’re always adding new & tasty recipes to Moms & Munchkins. Never miss an update by following us on Facebook (so many great recipes by others shared there), Pinterest (loads of party planning inspiration), Twitter & Instagram (where I share sneak peeks of some of the projects I’m working on.